Justin Jordan has to be one of the busiest writers I know. At any given time, comic book shelves are littered with his many current series. 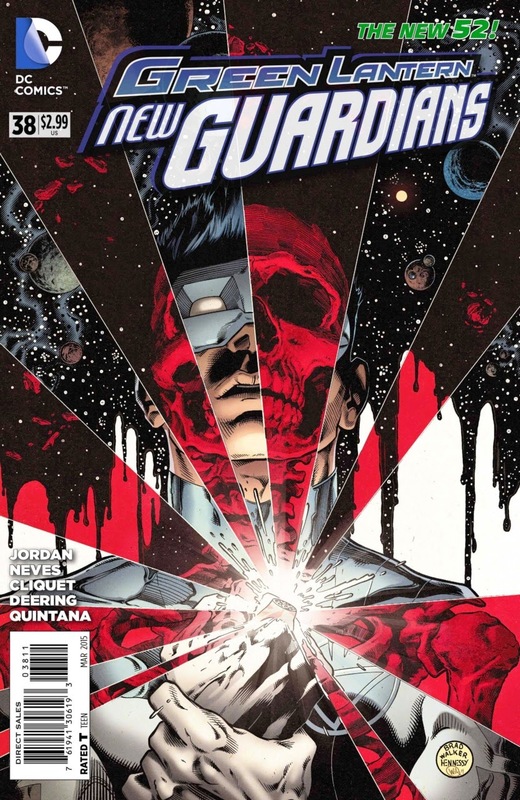 From Dead Body Road to the Green Lantern: New Guardians, Justin has written for the big two as well as managed many of his own stories that have been published through Image Comics to Avatar Press. Currently, I'm a big fan of Spread and Dark Gods. Both of which are action packed and horror inspired. That's my kind of story. I've been following both series since they debuted and been bothering Justin for about just as long to ask a few questions about his process. Here's what he has to say! TFQ: Can you tell me a little bit about how Dark Gods was conceived? Justin: Oddly enough, it was a combination of things. Part of it was William Christensen had the idea of doing a horror comic called Dark Gods. Not any kind of a story, just that he thought it would be a cool title and he liked what I did with the God Is Dead short story I did. I had been noodling with, for years, the idea of a organization dedicated to killing gods. The basic premise being that gods existed and were now weak, and this group finished them off. Which should sound very familiar to Dark Gods readers, because it became Dark Gods. And I’m always interested in the way myths and stories define us and the world we live in, so that got spun into it. TFQ: How did you come to work with German? Justin: German was the artist on the aforementioned God Is Dead story, so when we came up this idea he seemed like the right guy to do the book. He’s got a style that’s perfectly suited to horror. 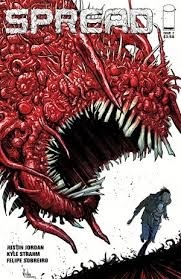 TFQ: Both Spread and Dark Gods are dark stories that would be horrific in film. Yet in comics, these horrific scenes are beautiful. When writing your scripts, how do you translate these terrifying scenes into art? Justin: I think all of the credit there has to go to the artists. I do try to think of things that I haven’t seen before to try and include in the scripts. In the case of horror stuff, I’m also trying to capture a different kind of horror in each scene. TFQ: You've written Superhero comics and focused on stories with your own characters. Do you have a preference and which do you find more challenging? How does your process differ for each? Justin: Ah, that’s a good question. I prefer working on my own stuff, largely because I can do what I want to do without regard to editorial concerns or a massive universe of continuity. Now, that’s not actually a knock on superhero comics – it’s just that when you’re working in a shared universe that has existed before you started writing and will exist after, there’s just stuff you can and shouldn’t do. So it’s a different animal than doing superhero stuff at Marvel or DC. TFQ: One question I love to ask people is: what's on your bucket list? What comics are just dying to write that you haven't had the opportunity to write? Justin: Batman. Which Scott Snyder is doing a hell of a job with right now, so he’d be a hard act to follow even if I could follow him. But, you know, Batman has always been one of favorite character so I’d love to take a crack at him someday.